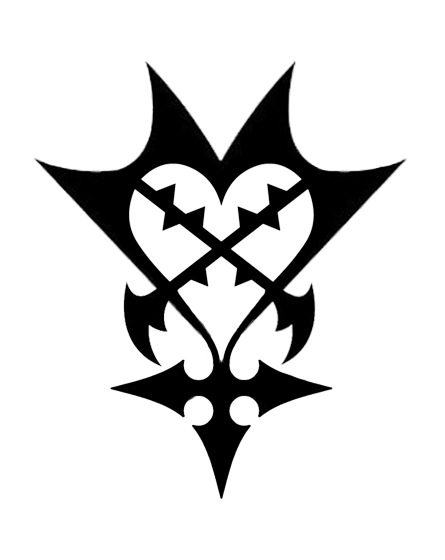 I've always wondered what it would look like if you took all the enemy symbols (Heartless, Nobody, Unversed, and Nightmare) and combined them together in a way that looked clean and cohesive, so I decided to take a stab at it. It looks pretty cool. I do think that the bottom could have the "half circles" like in the Nobody sigil. I've tried drawing it in the pass and gosh was it hard. How did you pull off drawing the symbol? Okay, that looks frigging rad. It's so cool how well they combined. Almost like Nomura planned this. He edited them together digitally. Are you planning on doing in a traditional medium?